Zoi Antonitsas dropped out of art school before she discovered another career: cooking. Today, she prepares delicious Greek-influenced dishes, but she is still an artist at heart. If you ask her for a recipe, she won’t send a photo; instead, she’ll draw such a pretty picture of the dish that you’ll want to frame it. Zoi Antonitsas dropped out of art school before she discovered another career: cooking. 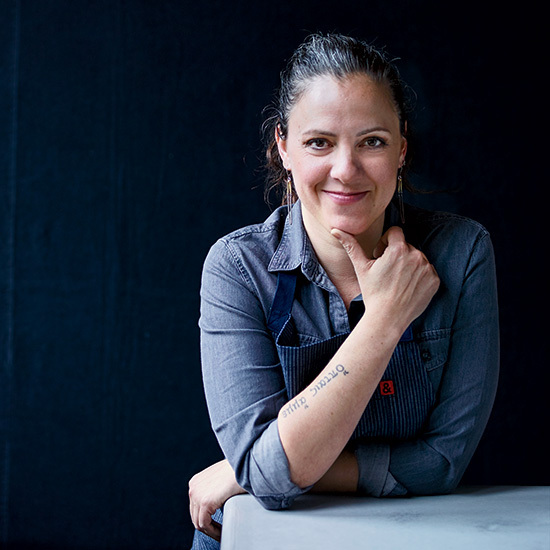 She’s the chef at Westward, the incredible Mediterranean–meets–Pacific Northwest restaurant on the banks of Lake Union. But Antonitsas is still a great artist. If you ask her for a recipe, she won’t send a photo; instead, she’ll draw such a pretty picture of the dish, you’ll want to frame it. But you’ll also want to eat it. Antonitsas prepares delicious Greek-influenced dishes that are more complicated than they seem. She makes her outstanding wood-oven-braised gigante beans with imported white beans, cooking them in cinnamon-spiced tomato sauce with feta and breadcrumbs, then topping them with marjoram oil. But even the simplest dishes at Westward feel special. For her oyster platter, for instance, Antonitsas labels each variety with an adorable little tag. All the seats in the restaurant look out on the lake, but the best views are outside on the deck next to the fire pit. From there, the view of downtown Seattle across the water is so striking, you’ll want to take a picture.